Approximately three-quarters (71 percent) of mid-sized to large companies plan to retain their health insurance plans in 2012, according to a new Towers Watson survey. Another 53 percent expect the health reform law, the Patient Protection and Affordable Care Act (ACA), to be fully implemented in January, 2014. At that time, people will be mandated to buy coverage and employers must provide coverage. Anyone who fails to follow the mandate face fines. About 53 percent of employers expect to trigger the health reform excise tax by 2018, meaning they will pay the fine, rather than provide coverage. The average rate increase for health premiums expected for 2012 is 5.9 percent, a decrease from the 7.6 percent in 2011, according to the 368 business owners surveyed. Another 45 percent of respondents plan to rethink their long-term healthcare strategy next year, and many are not certain how they will respond to the impact of state-based insurance exchanges in 2014. An additional 29 percent are unsure about whether they will continue sponsorship or offset the loss of healthcare benefits if they end employee coverage with an equivalent salary increase. For retirees, more than half of employers (54 percent) that offer health care benefits plan to discontinue them for both pre-65 and post-65 retirees. Approximately 70 percent of employers are skeptical that health insurance exchanges, where individuals and small businesses will be able to compare prices, buy coverage and get federal subsidies, will be a viable alternative to employer-sponsored coverage for their employees in 2014 or 2015. Another finding of the Towers Watson survey is that nine percent of the companies recently polled plan to drop employer-sponsored health insurance after the ACA takes effect in 2014. Other research predicts that even more firms will discontinue coverage, letting employees buy insurance through the online marketplaces, or exchanges, that will be established. “There are just a lot of unanswered questions, and a lot of it’s speculation,” said Dale Thoma, managing partner for Willis of Wisconsin, Inc., a subsidiary of global insurance broker Willis Group Holdings. Clients are asking for help exploring options, including the possibility of dropping coverage in three years. “Absolutely, people are talking about it,” Thoma said. “It will probably be the No. 1 topic in our business.” Dianne Kiehl, executive director of the Business Health Care Group, a coalition of Milwaukee-area employers who work to curb rising costs, said her members are “all kind of still waiting” although some haven’t ruled out dropping coverage. Thomas R. Sobocinski, Wauwatosa-based national director for healthcare at accounting and advisory firm Baker Tilly, said companies are looking at whether to continue offering health insurance to employees. “There is serious cost-benefit evaluation as to what employers are going to do 2014 and beyond,” he said. A study by Mercer shows different results. http://www.liveinsurancenews.com/enrollment-rate-for-employer-offered-health-insurance-plans-is-on-the-rise-according-to-mercer/854779/ Despite reports that employers will cut the healthcare benefits they offer to workers as the ACA goes into effect in 2014, Mercer http://www.mercer.com/home says that quite the opposite will happen. 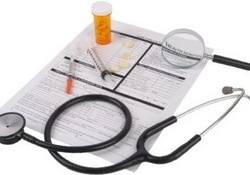 According to Mercer, enrollment in health insurance plans offered by employers is on the rise. The consulting firm surveyed companies and found that the vast majority will continue to provide their workers with health care benefits. According to Mercer’s survey, only two percent said that they were “very likely” to discontinue offering health benefits. Rather, they will send employees to state-run health insurance exchanges. Current healthcare spending is expected to more than double from 2010 – 2014, http://www.beckershospitalreview.com/news-analysis/health-affairs-affordable-care-act-to-spur-healthcare-spending.html according to Health Affairs. http://content.healthaffairs.org/content/30/8/1594.abstract The study found that healthcare spending growth in 2010 was estimated to be 3.9 percent. That level of healthcare spending is expected to grow to 8.3 percent in 2014 when expanded Medicaid and private insurance coverage under the ACA take effect. Expanded healthcare coverage under the ACA is expected to drive demand for healthcare, particularly for prescription medications and physician/clinical services. The researchers also expect that the federal government’s share of healthcare spending will grow from 27 percent in 2009 to 31 percent in 2020. The National Committee for Quality Assurance (NCQA) reports that there is no correlation between the amount health plans spend and the quality of care their members receive. In their annual State of Health Care Quality report, which crunched data from 1,000 health plans insuring 118 million Americans, researchers analyzed spending on the five most costly diseases (diabetes, hypertension and asthma) and found significant variations among the plans. The biggest spenders don’t always deliver the best care. Margaret O’Kane, NCQA president, said the study found no clear relation between resource utilization and quality. She believes that the results point to a need to create a system that spends less and delivers higher quality care. Additional findings are increases in colorectal cancer screening rates and the ongoing use of beta blockers after heart attacks. There is room for improvement in the overuse of imaging and antibiotics, as well as helping Medicare patients avoid falling. In one interesting finding, the researchers learned that vaccination rates for children with private plans fell by nearly four percent over the previous year. By contrast, vaccination rates rose for children covered by Medicaid in 2009. One possibility is a popular misconception that links vaccines to autism (blame Oprah partly for this) and has driven some parents away from evidence-based recommendations. Additionally, there’s been a drop in patient satisfaction with their health plans and physicians. For example, while 64 percent of members with Medicare plans said they usually or always get the care they need, just 53 percent of respondents with commercial plans felt the same. This represented a drop from a high of 80 percent in 2005. The federal government’s share of dollars spent on healthcare is expected to soar from five percent of the current GDP to approximately 10 percent by 2035. The increases are likely to continue unabated after that. These projections are based partly on the recently passed healthcare reform legislation, which is expected to increase federal spending in the next 20 years, according to the Congressional Budget Office’s (CBO) analysis, “The Long-Term Budget Outlook”. “The retirement of the baby boom generation portends a significant and sustained increase in the share of the population receiving benefits from Social Security, Medical and Medicaid. Moreover, per-capita spending for healthcare is likely to continue rising faster than spending per person on other goods and services for many years,” according to the report. The CBO predicts that these factors will increase federal spending relative to the overall economy in the future. Only a major change in government policy will reverse this trend. Once all provisions of the new healthcare law are implemented in 2014, there is a strong possibility that federal spending will decrease by 2030. According to the CBO, reform could yield reduced spending over time. Healthcare spending in 2009 reached a record high of 17.3 percent of the nation’s GDP, representing a growth rate of 5.7 percent in a year when the general GDP shrank. The Kaiser Family Foundation, a non-profit and non-partisan group reports that healthcare costs for the average family have doubled over the past 10 years. The almost $2.5 trillion spent in 2009 was $134 billion more than 2008, when healthcare ate up 16.2 percent of the GDP, according to an annual report by the federal Centers for Medicare and Medicaid Services (CMS). “The health system is hurting, and we are seeing that in these numbers,” said Karen David, president of the Commonwealth Fund, a healthcare policy authority. Federal and state spending on Medicaid – the primary health insurance program for low-income Americans – climbed nearly 10 percent in 2009, according to the report. Medicate spending increased eight percent last year. According to the Kaiser Family Foundation, the average premium for a company-provided family health insurance plan soared from $5,791 in 1999 to $13,375, a 131 percent increase. Employees’ portions of those costs have also risen, from $1,543 on average 10 years ago to $3,515 in 2009. During 2010, companies said they planned to shift more costs to workers, with 42 percent saying they would increase employees’ premiums and 39 percent said employees would pay more for doctor visits. Another 37 percent said workers would have to pay more for prescriptions. “When healthcare costs continue to rise so much faster than overall inflation in a bad recession, workers and employers really feel the pain. That’s why we are having a health reform debate,” said Drew Altman, Kaiser’s president and CEO.